A group of prominent healthcare experts including bioethicists, pharmacists, policymakers and cancer specialists have proposed concrete steps for preventing and managing a nightmare scenario that is becoming all too common: shortages of life-saving drugs. In a consensus statement published in the journal Pediatrics, the experts say they sought to move away from the current strategy of reaction to shortages once they have occurred and focus instead on prevention. Using the example of shortages of chemotherapy drugs used for treating children with cancer—therapies proven to have high survival rates for the most common childhood cancers—the group developed “a comprehensive blueprint for action” they say is critical for managing and preventing future drug shortages. “Although our recommendations were developed with pediatric oncology in mind, and serve as a blueprint for preventing children with cancer from lacking access to essential life-saving medications, we believe that they apply more broadly across medicine to include pediatrics and adult medicine in general,” says Yoram Unguru, a pediatric hematologist/oncologist at the Herman and Walter Samuelson Children’s Hospital at Sinai and faculty member at the Johns Hopkins Berman Institute of Bioethics. Unguru, a coauthor of the consensus statement, was the principal organizer of meetings that led to its creation, bringing together representatives from the Food and Drug Administration (FDA), leadership of the Children’s Oncology Group and The American Society of Pediatric Hematology/Oncology, patient advocacy groups, legal scholars and clinicians. Some recommendations would represent new norms for healthcare practice, including the sharing of scarce drugs between healthcare institutions and not giving preferential access to patients participating in research studies. “This statement is significant both for the consensus found by such a diverse group of experts, and for being the first to take seriously the ethical rationale to prevent shortages in the first place,” says Matthew DeCamp, a Johns Hopkins professor at the Berman Institute of Bioethics and Division of General Internal Medicine, and lead author of the consensus statement. For each recommendation the statement also includes potential barriers to its implementation. 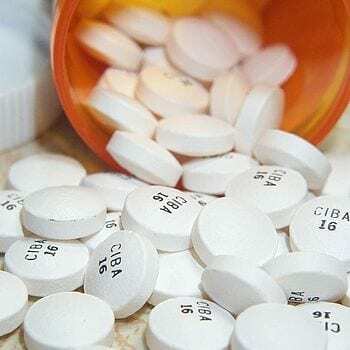 A centralized information source of drug supply information, for instance, faces the risk that such information will encourage hoarding of existing supplies, including so-called “gray market” suppliers that sell scarce drugs for inflated prices. The statement calls for new policies for both reporting and avoiding these markets, though acknowledges the temptation of healthcare providers to use them in a shortage, when their patients are in need. Life out of tragedy: Organs donated by overdose victims are saving lives Courier JournalOrgans from those who have struggled with addiction are saving lives in Kentucky and across the nation. Drug Rationing Common for Shortages, Patient Disclosure Rare MedscapeA new survey shows that in this era of continuing drug shortages rationing is common in hospitals and patients aren't always aware. There's a Gold-Standard Treatment for Opioid Addiction, One of America's Top Killers. What Keeps Treatment Centers From Using It? Pacific StandardMany California addiction and recovery centers aren't using medication-assisted treatment—our country's best bet for beating the opioid crisis. Drug shortages jeopardize the lives of children with cancer STATDrug shortages over the past decade have become the new normal in the U.S. They can be especially serious for children with cancer.